More than 75% of U.S. adults over 35 have some form of gum, or periodontal disease. Many of those with the beginning stages of this disease are unaware of it. The most severe form of gum disease is known as periodontitis. A less severe form is known as gingivitis. In many cases gingivitis is a precursor to periodontitis, so all forms of gum disease should be seen as serious and not neglected. This disease is serious enough to be called the "silent epidemic" by former Surgeon General David Satcher. It is also known as the "busy person's disease" because people with very busy schedules often neglect oral hygiene. It can be scary to hear that you have gum disease. Many people become embarrassed when they are told they have gum disease because they feel they have not paid enough attention to their oral hygiene; however, studies show that many adults lose ground even when they brush and floss regularly. A well-known phrase for growing older is growing "long in the tooth." This phrase indicates that it becomes increasingly more difficult to maintain good oral hygiene for an entire lifetime. When the symptoms become severe, such as bleeding gums and loose teeth, we tend to start paying attention. Unfortunately, the damage is now at the crisis level and can cause serious bone, tissue, and tooth loss. In our office, the doctor provides various types of treatments for all stages of gum disease. Extremely minor symptoms are typically treated non-surgically with patient education, a professional quality cleaning, and careful attention to follow-up visits. The Perio Protect system, which is very easy to use, has been proven in clinical studies to kill harmful bacteria within 72 hours. Within days of using the medication, inflammation and swelling is reduced and bleeding gum tissue is dramatically decreased. Bad breath, for many patients, is eliminated. 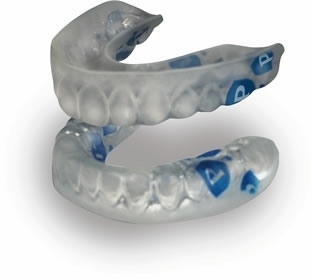 You will be fitted for custom made mouth-pieces (Perio Trays), which are similar to athletic mouthguards. They are very thin, soft, and comfortable. The trays are made by an FDA-registered laboratory to the exact dimensions of your teeth. You will then take them home and add the doctor prescribed medications (usually in a gel form - similar in consistency to toothpaste) and wear them according to the doctor's instructions (for only a few minutes at a time). This gel seeps above and below the gum line, modifying the biofilm (the calculus and tartar) which makes your brushing and flossing much more effective. The hard calculus and tartar are turned into a soft chalky material that is easily removed by regular brushing and flossing. The gel also kills bacteria, which allows your gums to heal. You will be instructed on the frequency of usage based on your diagnosis. A great advantage of this method is that the entire treatment is done in the comfort of your own home. The medications used in this unique treatment also whiten your teeth and freshen your breath. At each subsequent dental visit, our hygienist will gently remove any remaining softened deposits and evaluate the progress of your healing. Your dental visits will be quick, easy, and painless. Imagine...a new way of eliminating most gingival and connective tissue disease problems without pain or excessive expense. Visit Perio Protect to see video testimonials from patients who have been through the system.